According to Garibaldi, this campaign represents a significant milestone in the history of the university. Contributed 21 gifts in excess of $1 million. The Campaign for University of Detroit Mercy has four main areas that alumni, friends, businesses and organizations may choose to invest. Student Financial Aid: Because 92 percent of Detroit Mercy undergraduate students receive some form of financial aid, scholarships are essential to attracting academically talented students. The University’s goal of $40 million for student financial aid demonstrates its commitment to ensure that all students, regardless of means, receive the support they need to pursue a Detroit Mercy degree. To date, the Campaign has raised more than $29 million for scholarships. Programs & Faculty: The reputations of universities are built on the strength of their programs and the faculty members who teach them. Many Detroit Mercy programs achieve high national rankings in such publications as The Wall Street Journal and U.S. News & World Report’s Best Colleges. Additionally, Detroit Mercy graduates are known for their unique combination of strong academics, real-world experience and commitment to community service. Thus far, the university has raised $22.5 million toward the $25 million goal. Capital Improvements: Some of the planned facilities projects include a redesigned student union, a Center for Innovation & Collaboration, a Center for Excellence in Teaching & Learning, active learning classrooms and more. The enhancement of facilities ensures that graduates will have experience in using today’s technology and receive exposure to relevant teaching methods that ensure their attainment. The University has set a goal of $25 million for these plans and has received $9.7 million to date. Unrestricted/Annual Support: Unrestricted gifts and annual support allow the University to budget effectively and plan for the future, as well as take care of emergency costs for student financial aid. Arnold D’Ambrosio, vice president for University Advancement at Detroit Mercy, is pleased with the progress of the campaign but understands that more work is necessary to ensure success. The public announcement of the campaign comes during a time of significant, positive news. This past fall, first-time freshmen enrollment rose to 554, four percent higher than fall 2016 and the third consecutive year that first-year undergraduate enrollment has increased. In addition, the university was ranked #19 in the 2018 edition of the U.S. News & World Report's "Best Colleges" for Midwest Best Regional Universities. Detroit Mercy is the only university in Michigan to be listed in the top 25. The Wall Street Journal’s 2018 Times Higher Education college rankings also ranked Detroit Mercy 188 out of 1,054 universities in the U.S., which is 82 spots higher than in 2017. And the state of Michigan’s Veteran Affairs Agency has once again designated the university as a Gold-certified Michigan Veteran-Friendly School. 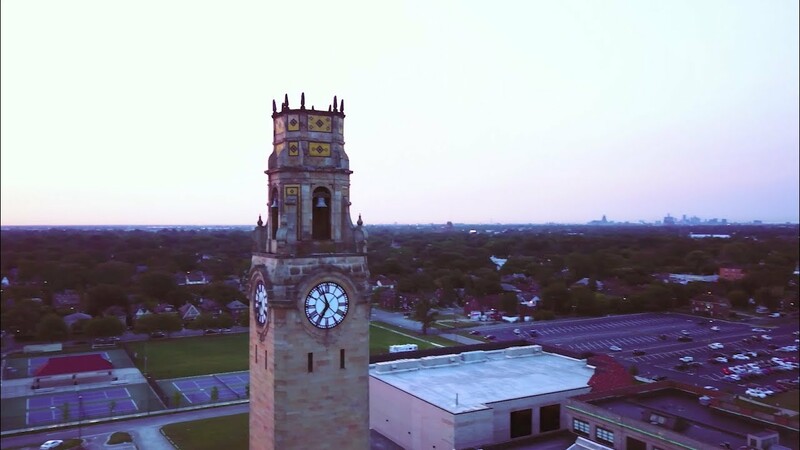 When The Campaign for University of Detroit Mercy is complete, an increase in the scholarship endowment will attract greater numbers of students who seek opportunities to participate in Detroit’s resurgence and develop their community leadership skills. To learn more about The Campaign for University of Detroit Mercy, please call University Advancement at 313- 993-1250, email giving@udmercy.edu or visit http://www.udmercy.edu/about/giving/.